WASHINGTON, D.C. — Campbell University’s Advancement team was named one of 50 finalists Wednesday for the 2017 CASE Circle of Excellence Platinum awards for its combined efforts in the 2015-16 “An Evening with J. Bradley Creed” presidential tour. The Council for Advancement and Support of Education’s six Platinum categories recognize the “best-of-the-best” programs and practices in educational advancement. 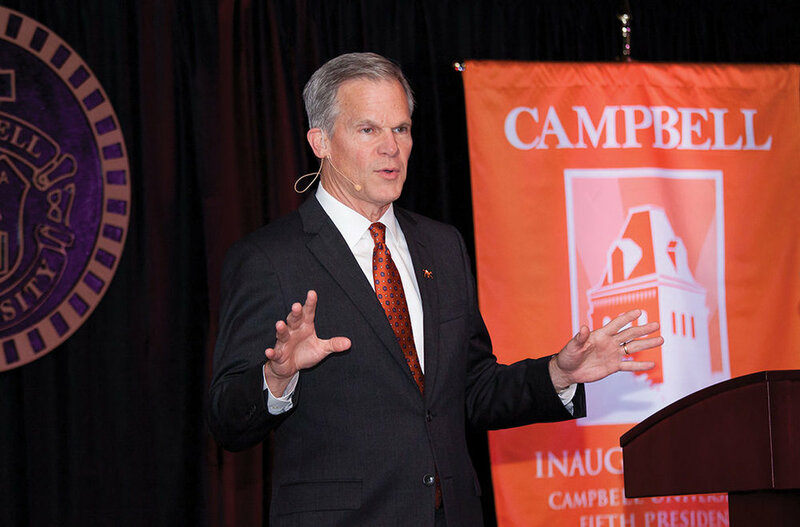 Campbell’s “Creed Tour” — a 13-city tour designed to introduce new President J. Bradley Creed during his first year in office — was honored in the “Alumni Relations” category, along with Nanyang Tech in Singapore, the University of Hong Kong, the University of Texas System, Villanova University and Platinum winner Northwestern University.